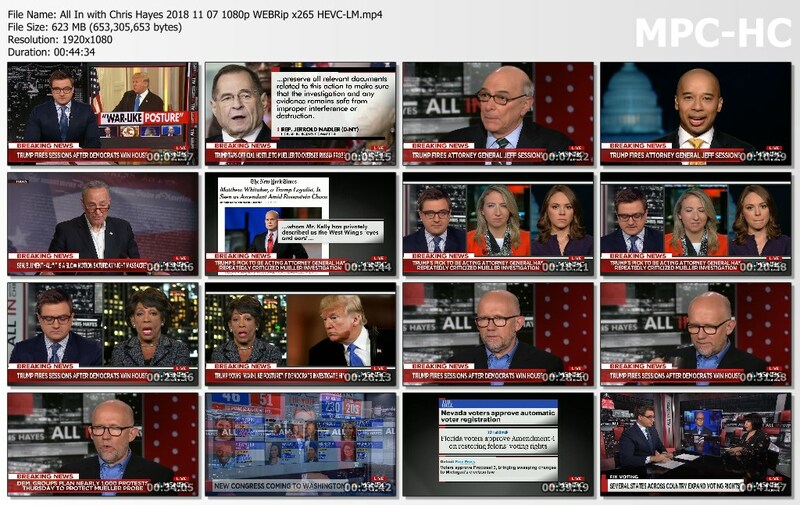 TGx:Details for torrent "All In with Chris Hayes 2018 11 07 1080p WEBRip x265 HEVC-LM"
Torrent details for "All In with Chris Hayes 2018 11 07 1080p WEBRip x265 HEVC-LM"
All In with Chris Hayes is political television program hosted by Chris Hayes and features in-depth political commentary from prominent politicians, journalists and political strategists. The program airs weeknights on the cable news channel MSNBC. - "A slow-motion Saturday night massacre"